In Mississauga we operate a bus fleet of ~300 buses. An operation this size requires a specialized team of highly trained drivers, skilled technicians, and an experienced management team. 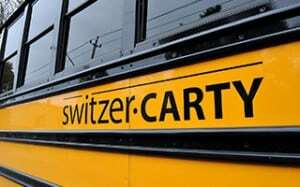 At Switzer-Carty, the strength of our Team translates into best-in-industry customer service, safety and reliability. Parents and school district officials like STOPR (Student Transportation of Peel Region, including Peel Catholic and Public School Boards) trust us to transport tens of thousands of Peel Region children every single day. As safety leaders we take our job seriously so that every student – and every passenger – arrives safely and on time to their destination. Our Mississauga location is a full-scale and full-service school bus operation. Services include contract school bus services; special needs transportation; private schools busing; and private charter bus rentals. We also have added luxury coach style party buses that are air conditioned and ideal for weddings, corporate or other party events. 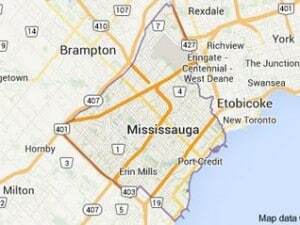 Our Mississauga bus fleet serves Mississauga and surrounding areas including Halton (Oakville) and Greater Toronto. Whether you’re a private school, district or want to book a bus for a day trip – we can help. The management team at our Mississauga Branch is highly experienced with some 40 years of combined direct school bus industry experience leading our team. Both Ken and Sarah welcome the opportunity to discuss our services and how they can help your organization. Whether a one-time charter or contract school transportation services, we’re ready to help. Contact us today! Want to join a committed, caring Team of over 340 people at our Mississauga location? If so, we’d love to speak to you about joining Switzer-Carty Transportation! All employees receive top notch training to prepare them for their professional career with us. Please apply here and we’ll quickly follow up with you.